Larger institutions to benefit from years of tuition inflation. The Higher Education sector represents one of the safer areas of the municipal market due to a national priority placed on advanced education, a large pool of applicants across multiple academic disciplines, and modest-to-significant endowment funds to provide credit support, to name a few. 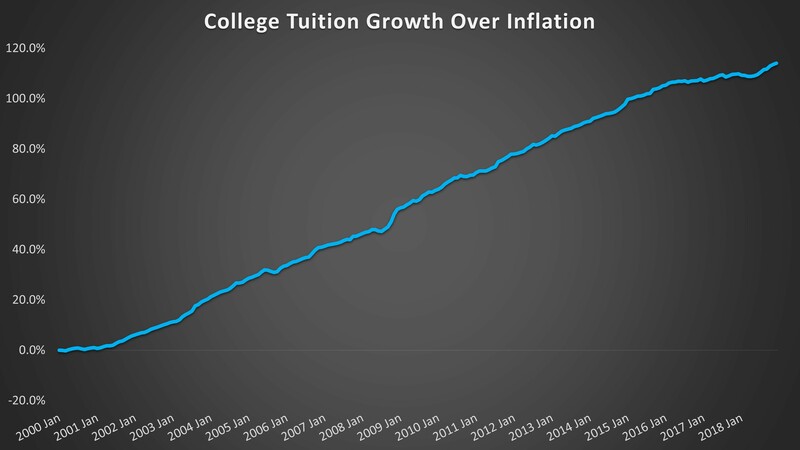 Despite the inherent safety of the sector, almost two decades of above-inflation tuition increases have finally disrupted the supply and demand dynamic. Since 2000, college tuition inflation has outpaced Consumer Price Inflation (CPI) by almost 120%; therefore, student demand has become more discerning as students now more carefully consider the risk/reward of their continued education. With this backdrop, bondholders will be required to perform more intensive credit analysis on smaller colleges and universities. The Higher Education sector consists mostly of public and private colleges and universities that issue municipal bonds. In the current environment, mid-to-large institutions with national recognition, particularly state universities, will likely benefit from tuition increases as lower relative tuition combined with higher job placement and larger starting salaries becomes a determining factor for graduates. Smaller boutique colleges, with limited notoriety and academic prominence, are seeing lower enrollment levels, as well as a decrease in applicants. One recent casualty was Vermont’s Green Mountain College, a small liberal arts institute that finally closed its doors after 183 years. Sage anticipates that similarly positioned colleges will follow suit over the next three-to-five years. Sage will continue to hold a diversified allocation to Higher Education credits that maintain a strong credit profile, have stable-to-improving enrollment levels, and have a strong national or regional presence. As a result of our stable credit outlook, relative valuations will be the determining factor regarding portfolio positioning for Higher Education credits.